Locke & Key is finally becoming a series. Earlier this summer, Netflix acquired the rights to the property from Hulu, who passed on a version of the show in the spring. That pilot, directed by It helmer, Andy Muschetti, is being scrapped, and a whole new cast and creative team are being introduced. They’re once again lead by Lost’s Carlton Cuse, who was on the Hulu pilot, along with show newcomer Meredith Averill, who created the CW series Star-Crossed. Aaron Eli Coleite and original comic writer Joe Hill are also EPs and together wrote the new pilot. Muschetti, along with his producing partner and sister Barbara, will remain executive producers, though they’re unlikely to be involved in the day-to-day. 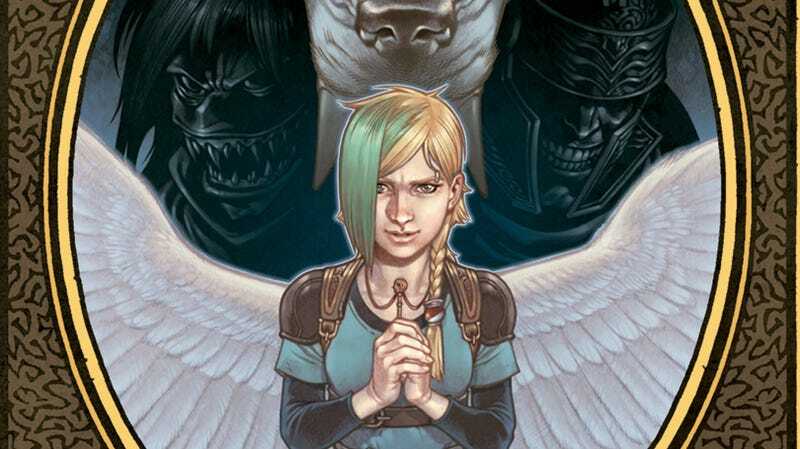 It’s been 8 years since the Joe Hill-written, Gabriel Rodríguez-drawn IDW series comic series began its long trek through the Hollywood ringer. The story of three siblings who unravel a mystery about magical keys has had names such as Steven Spielberg and Josh Friedman attached to various iterations of the show, none of which ever got past the pilot stage. (The one produced by Spielberg along with Star Trek writers Alex Kurtzman, Roberto Orci starred Mark Pellegrino, Miranda Otto, Jesse McCartney, and Nick Stahl, even screened at Comic-Con.) A few iterations later (including a movie) Muschetti and Cuse took a stab but ultimately, Hulu passed. That’s where Netflix swooped in, removed some parts, kept a few others, and added some of their own. Disclosure: io9 reporter Germain Lussier is personal friends with Averill.